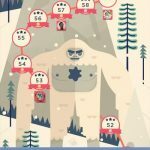 This the tenth in our series of TwoDots walkthroughs, and once again, things won’t be getting any easier for you in these later levels. 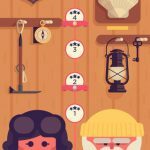 But with these tips, we hope to help you have an easier time conquering the harder levels, and with that said, let’s now take you to our walkthrough of TwoDots levels 46 to 50. The board setup here includes a cross-like blocker, with four blocks of ice located on the lower right portion of the board. It would be these blocks that you want to focus on before the others; normally, this wouldn’t be too hard, but there may be times when you’ll see four dots of a different color in that area. This may force you to reset the board and try again, but since you’ll likely be soldiering on, the best thing to do in general is work on those squares and bombs, and minimize those simple two-dot matches that often end up being a waste of moves. The anchors make a comeback in this level, and just as a reminder, you’ll be dropping anchors by clearing dots located underneath them. Ice blocks, as a reminder, need to be cracked thrice before they break. Despite the big cross-shaped blocker, it shouldn’t hinder your ability to create bombs in this level. Also, you will want to devote an equal amount of time on dropping anchors than on breaking ice, even if the latter task is typically harder than the former. It doesn’t sound hard to do, and the board, at first glance, seems easy enough to figure out. Then again, you’ll notice soon enough that the ice blocks are all isolated from the other dots, with no way to create a direct match. This makes it imperative to focus on making boxes. That, or making a bomb, would be your best bet in breaking the ice; the big non-box/bomb combinations you may have used in earlier levels won’t work too well here, as you aren’t asked to clear so many dots of a certain color. Out of these six blocks of ice, two are isolated from the others. This would require you to make a match from the side, or create a box of a similar color as the dots trapped in ice. As this board has a rather unusual shape, pay close attention to how the dots fall before they reach their landing point; this would give you an idea of how to plot your next move. Meanwhile, you’ll also see that the four ice blocks on top are also separate from the rest of the board; if you can’t make a match from the dots on top of the ice, you’ll need to go to your old standby of making boxes. The ice is on the left, the anchors on the right; that’s the best way to sum up this rather odd-looking board. 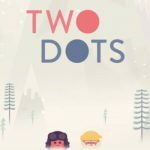 When it comes to dropping anchors, you may find it difficult as you won’t find many matches of two dots of the same color; to this end, create bombs on the main board to drop those anchors. Forget making matches on the right side with the anchors, unless they’re actually there. And since you’ll be working the left side of the board for the most part, you’ll be hitting two birds with one stone if you can create enough boxes and bombs to break the ice blocks.